Starting off the day with a traditional Japanese breakfast - I was pleasantly surprised to find this morning's was different to yesterday's. Could definitely get used to waking up to this view every morning. I really like the presentation of the breakfast menu. Clockwise from top left: apple slices, grilled fish, tofu in sauce, miso soup, seaweed, pickles, salad and rice. 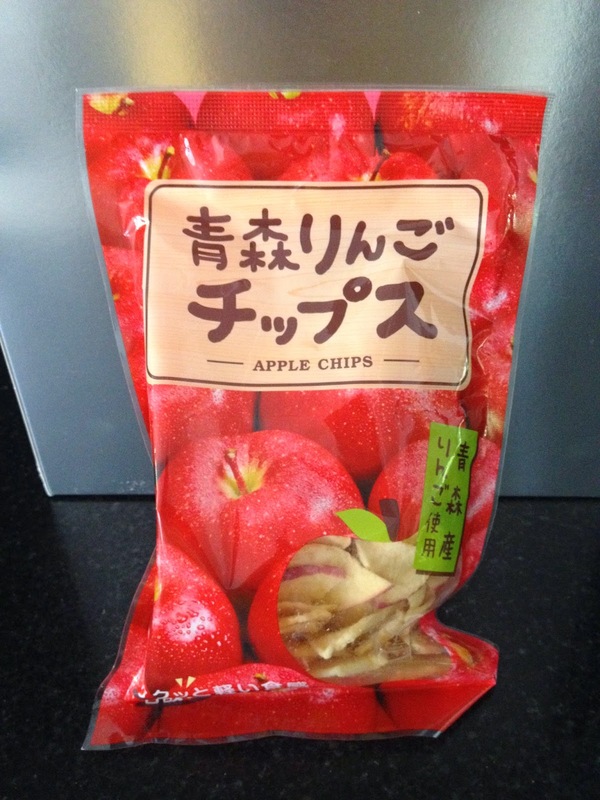 The most excellent apple chips from Kai Tsugaru gift shop. These morsels of apple goodness are absolutely fantastic. Perfectly crispy and crunchy with real pieces of apple. Given that the area is famous for its apples, I highly recommend you bring some back with you on your visit to here. Bill: Two people and two nights with one dinner is 114,045 yen which is about $1200AUD which translates to roughly about $300 per person per night. It was time to say good bye to the beautiful and delicious Kai Tsugaru ryokan for now. Whilst studying the sushi menu, I thought why not go all out and try the super deluxe sushi set? It is the priciest at 2800 yen but you get all the interesting pieces of exotic seafood. Wake up to the sounds of the flowing water of the famous Oirase Stream. Dinner at the Oirase Keiryu Buffet: now I know what you're thinking and I was thinking the same thing - buffets are fine for breakfast but for dinner? Surely that would be horrible. I was pleasantly surprised. I can safely assure you this was one of the most fantastic buffets I have ever had. There are scheduled times where a bus will take you to a private natural hot springs bath (different times for men and women). There is a waterfall in the background with lovely rocks and nature surrounding you and the hot springs bath. Needless to say, it was breathtaking and relaxing. These pictures taken during the night on an Iphone camera does not do it justice. Now off to bed for an early night's sleep as we plan to do the bush walk along the Oirase Stream early tomorrow morning.